Theodor Müller left his home in Switzerland and arrived in Sydney in 1857. He spent nineteen years travelling the Australian Outback, mainly on foot. He roamed north to Brisbane, west to Mudgee and south to Gundagai, sleeping beneath the stars and finding work where he could. 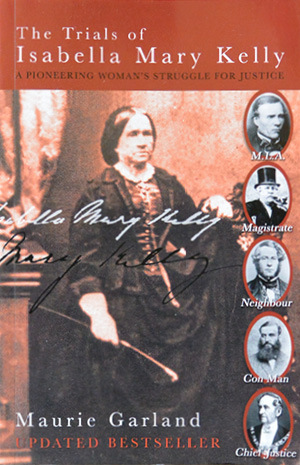 In observing the culture of this new country, Müller also wrote chapters on gold, squatters, bushrangers, & Aboriginals. 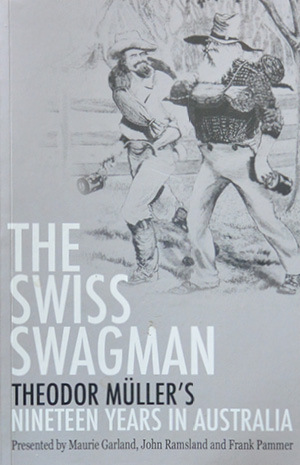 To supplement the text, the editors have illustrated the book with many nineteenth century drawings, and provided annotations, background boxes and commentary boxes. 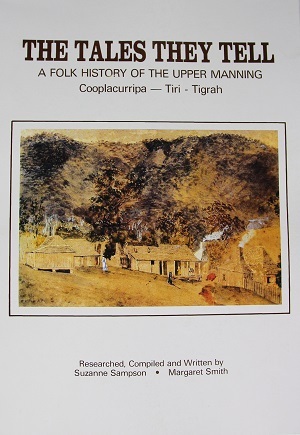 This book makes no claim to give a scholarly account of the early settlement of the Upper Manning area. Rather, it is a folk history told, as they remember it, by the descendants of the early pioneering families. This is the story of her struggle to prove her innocence and obtain justice. 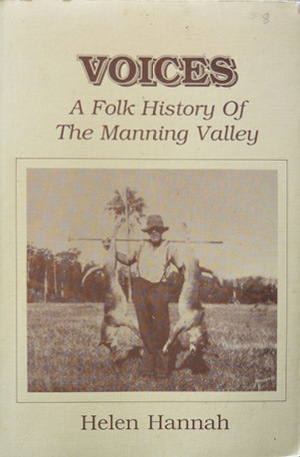 Max Solling’s latest book describes the rich history of the Manning Valley. 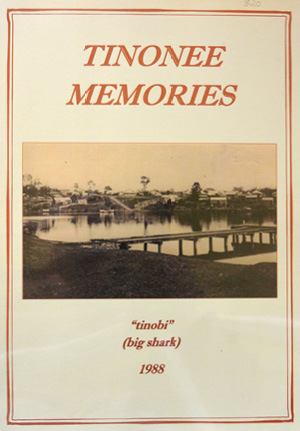 He paints a vivid picture of Australia before and after settlement, telling the tales of characters who left homelands to start new lives on the other side the world. He also illuminates the conservation history of the Wingham Brush, the last remnant of ancient wilderness in the region, and details the fight for its survival. 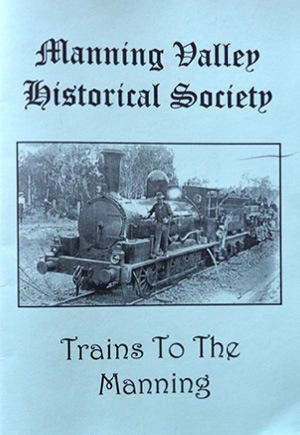 The first train arrived in Taree in 1913. This book details the story behind that arrival. It is divided into three sections: Gaining approval to build it, Building the railway, and its early days of operation. 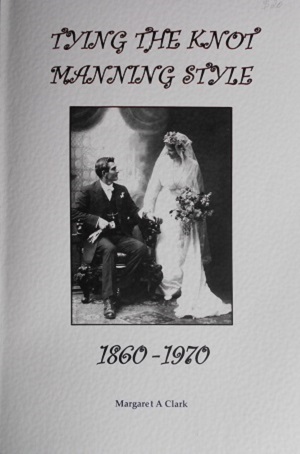 This book is designed to showcase the gowns that women have worn in the Manning Valley since the end of the 19th century and the way traditions around the celebration of marriage reflect the customs of the period. 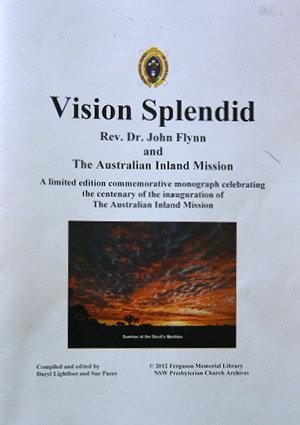 A limited edition ( of 400 copies ) commemorative monograph celebrating the centenary of the inauguration of The Australian Inland Mission. Contents include: ‘Reflections’ by Rev.Dr. Colin Ford, former AIM Padre; ‘Memories of Rev.Dr. John Flynn; ‘Antecedents of the Australian Inland Mission – People and Places’; Flynn’s ‘Call to the Church’-The 1912 General Assembly of Australia; and Itinerant and Special Ministries – 1912 onwards. 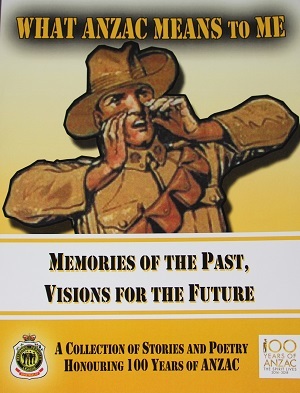 The book also covers ‘The AIM Nursing Service; Some AIM Padres/Patrols; The Aerial Medical Service and the Pedal Radio’. In this book Tom has focused on the years he and Jean, his wife, spent at Caparra. He has drawn on his observations of life around him to paint a picture of a community, which, notwithstanding social, cultural, and religious differences, worked together to improve the district for the good of everyone. Tom has shown us the bonds which develop between people striving together for a better life. This book is a history of Wingham’s Anglican Parish of St. Matthews and a story of the town itself. 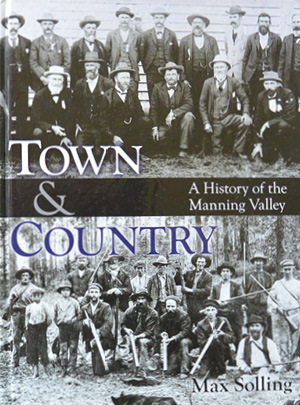 It highlights the way of life of the early communities in the Valley and then focuses on the people and township of Wingham.